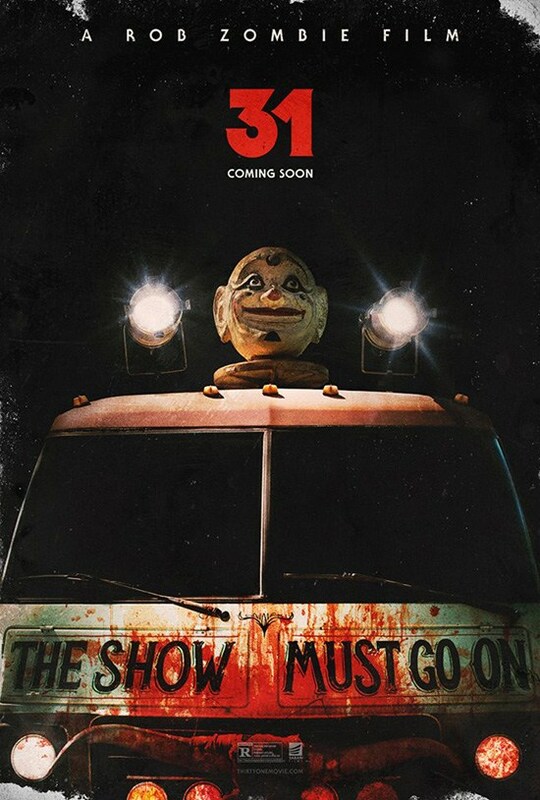 Rob Zombie’s fan-funded killer clown movie ’31’ has been a long time coming, but all evidence points to it being worth the wait. Distributed by Saban Films, Zombie’s ’31’ will include frequent cast members Malcolm McDowell, Jeff Daniel Phillips and Sheri Moon Zombie, among others. On October 30, 1975, five carnival workers were kidnapped and held hostage until the following night (Halloween), where they are put in a compound. They’re told that they are there to take part in a game named “31” where the goal is to survive past the next 12 hours. This is made difficult by the fact that they are not alone; a violent gang of evil clowns are there and stalking their every move. If you can’t wait for your share of clown madness, check out the SQ list of top killer clowns that have made it to the screen in recent times. Scary movies, loud music, alternative culture and oddities. Copyright © 2016 Scream Quietly. All rights reserved.